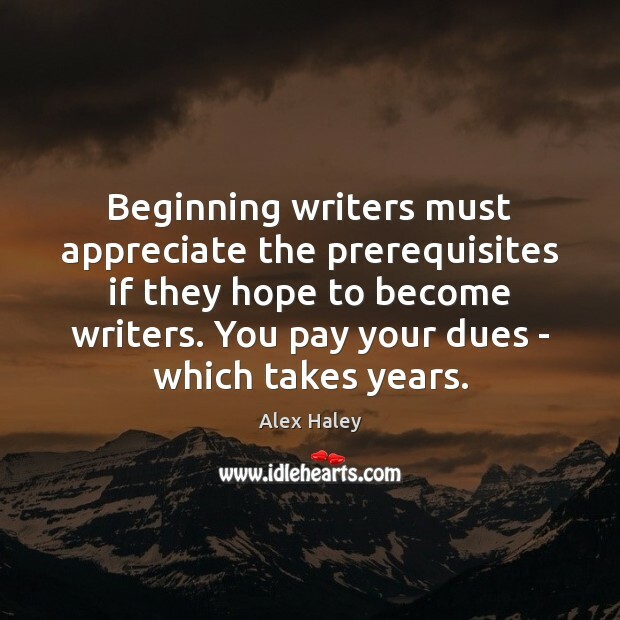 Quotations about Beginning Writers. Quotes to stimulate mind and drive action! Use the words and quote images to feed your brain inspiring things daily! 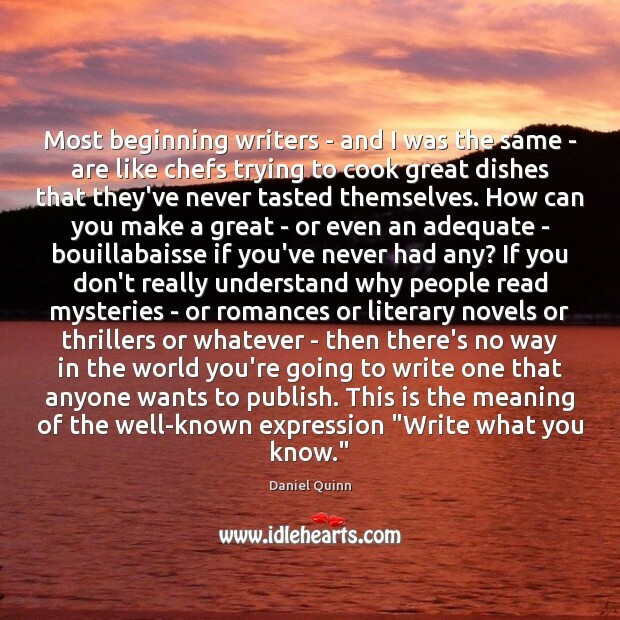 Most beginning writers - and I was the same - are like chefs trying to cook great dishes that they've never tasted themselves. How can you make a great - or even an adequate - bouillabaisse if you've never had any? 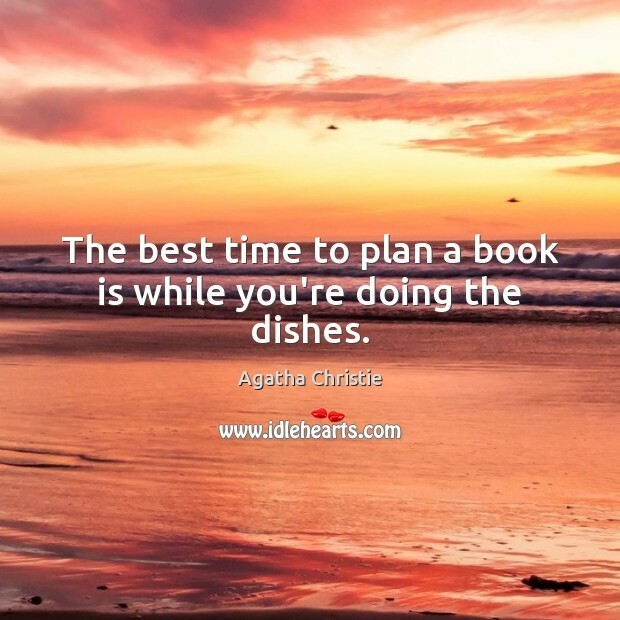 If you don't really understand why people read mysteries - or romances or literary novels or thrillers or whatever - then there's no way in the world you're going to write one that anyone wants to publish. This is the meaning of the well-known expression "Write what you know." 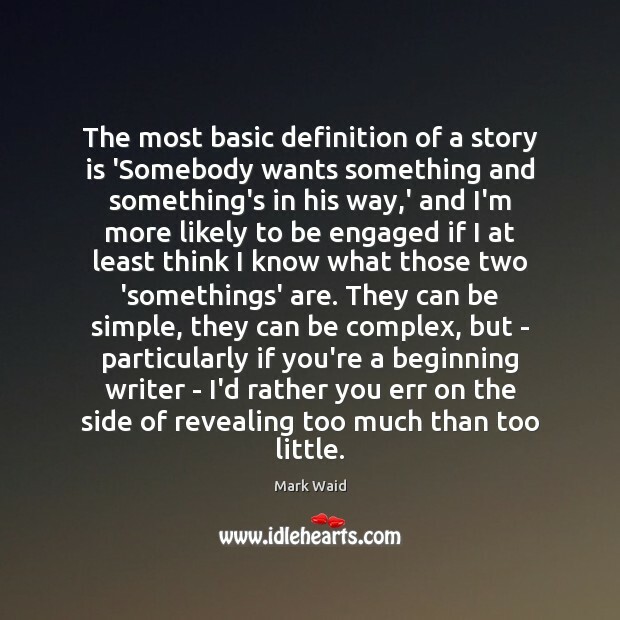 The most basic definition of a story is 'Somebody wants something and something's in his way,' and I'm more likely to be engaged if I at least think I know what those two 'somethings' are. 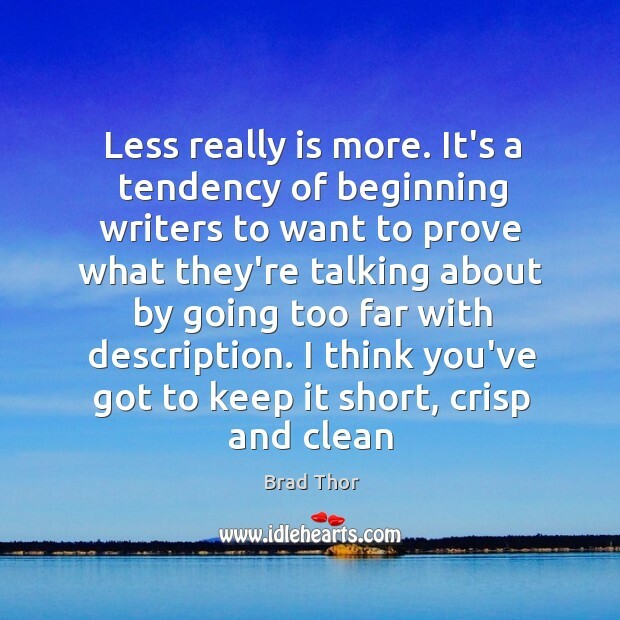 They can be simple, they can be complex, but - particularly if you're a beginning writer - I'd rather you err on the side of revealing too much than too little. 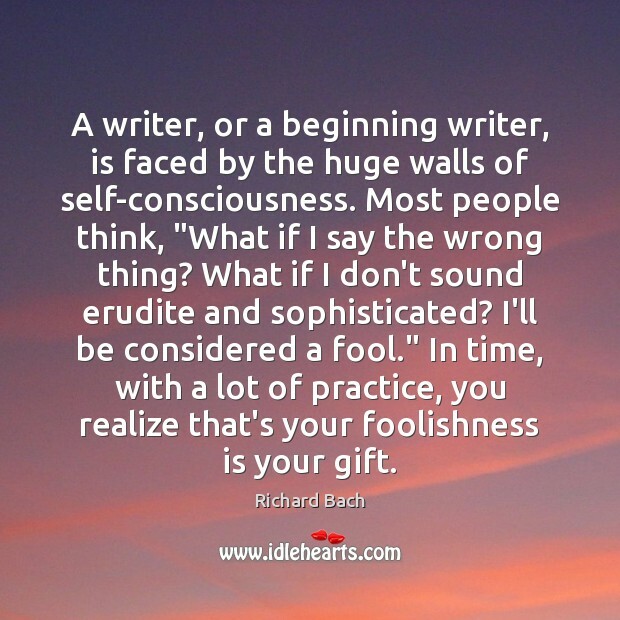 A writer, or a beginning writer, is faced by the huge walls of self-consciousness. Most people think, "What if I say the wrong thing? What if I don't sound erudite and sophisticated? I'll be considered a fool." In time, with a lot of practice, you realize that's your foolishness is your gift. 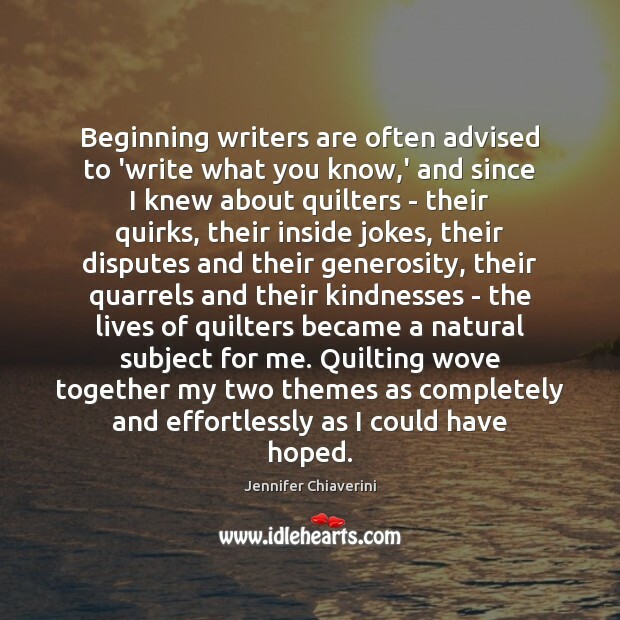 Beginning writers are often advised to 'write what you know,' and since I knew about quilters - their quirks, their inside jokes, their disputes and their generosity, their quarrels and their kindnesses - the lives of quilters became a natural subject for me. Quilting wove together my two themes as completely and effortlessly as I could have hoped. 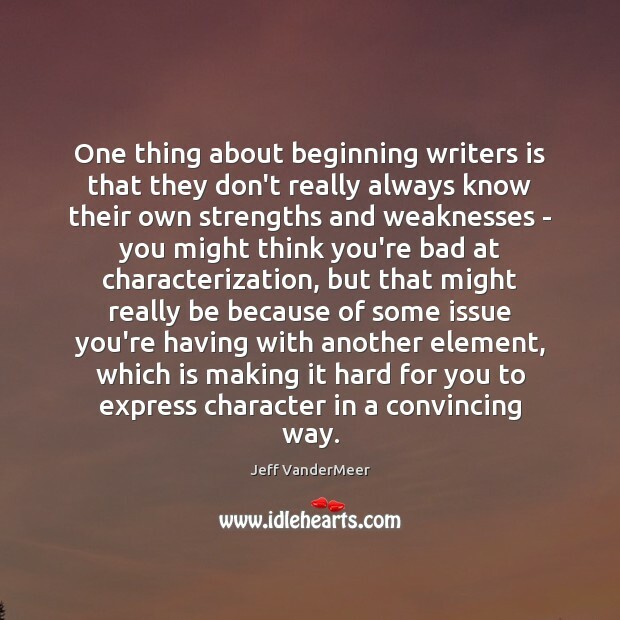 One thing about beginning writers is that they don't really always know their own strengths and weaknesses - you might think you're bad at characterization, but that might really be because of some issue you're having with another element, which is making it hard for you to express character in a convincing way. 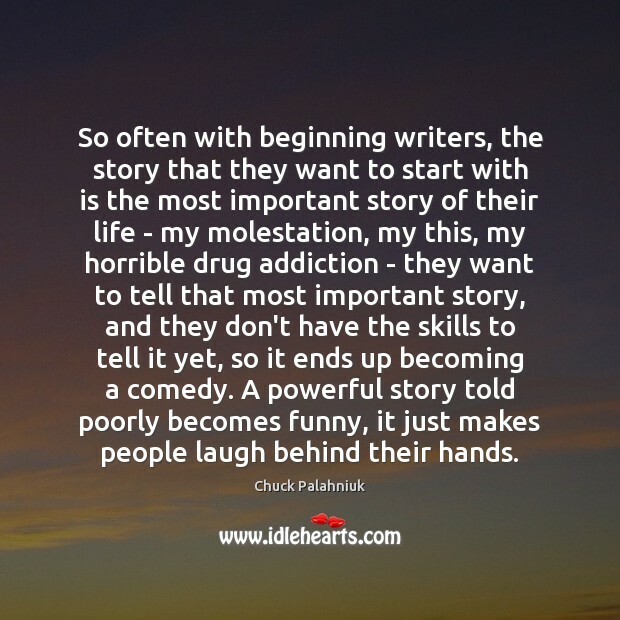 So often with beginning writers, the story that they want to start with is the most important story of their life - my molestation, my this, my horrible drug addiction - they want to tell that most important story, and they don't have the skills to tell it yet, so it ends up becoming a comedy. A powerful story told poorly becomes funny, it just makes people laugh behind their hands. 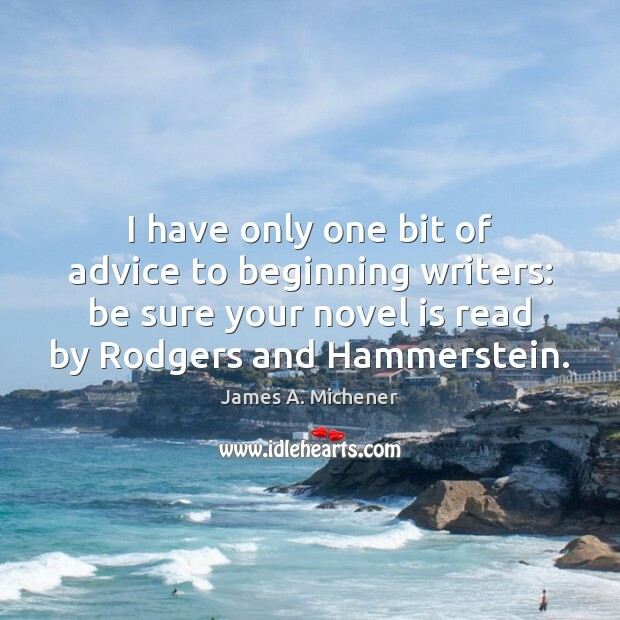 I have only one bit of advice to beginning writers: be sure your novel is read by Rodgers and Hammerstein. 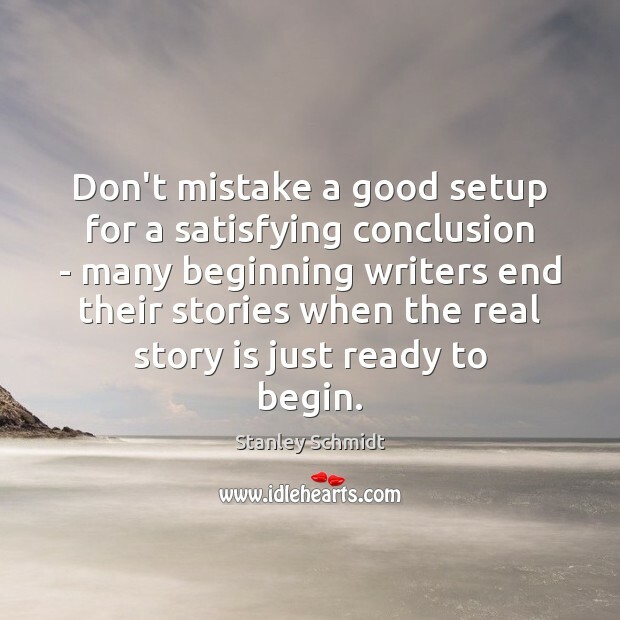 Don't mistake a good setup for a satisfying conclusion - many beginning writers end their stories when the real story is just ready to begin. When you finally start to write something, do not let yourself stop...even when you are convinced it's the worst garbage ever. 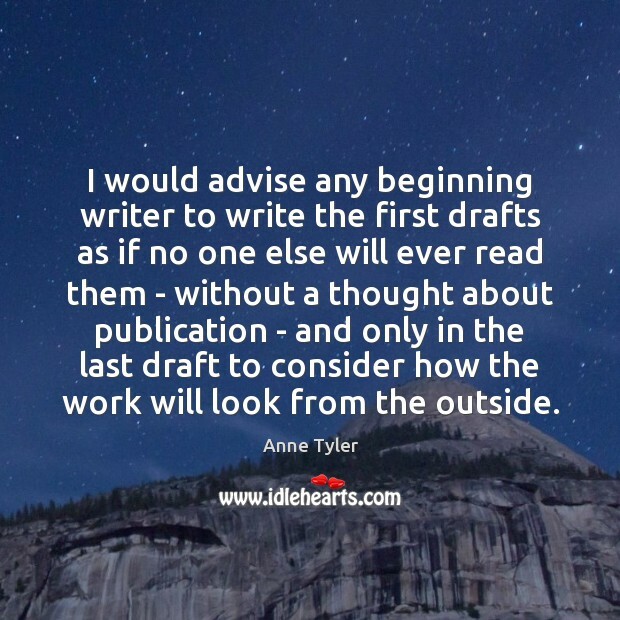 This is the biggest caveat for beginning writers. 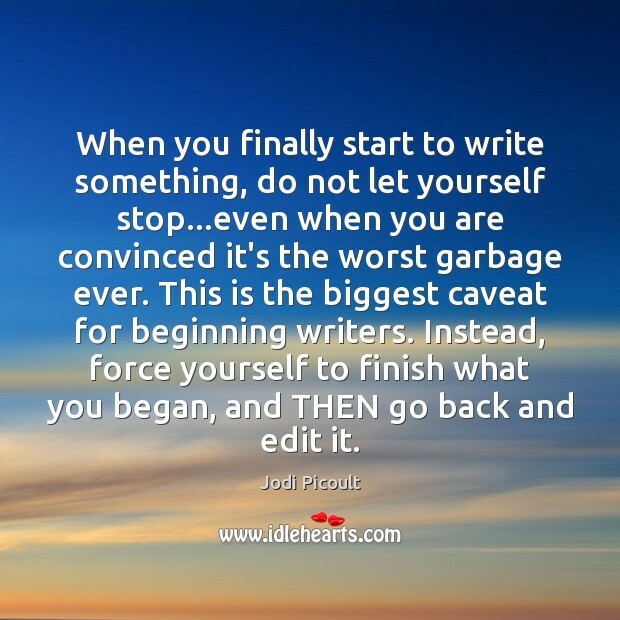 Instead, force yourself to finish what you began, and THEN go back and edit it. 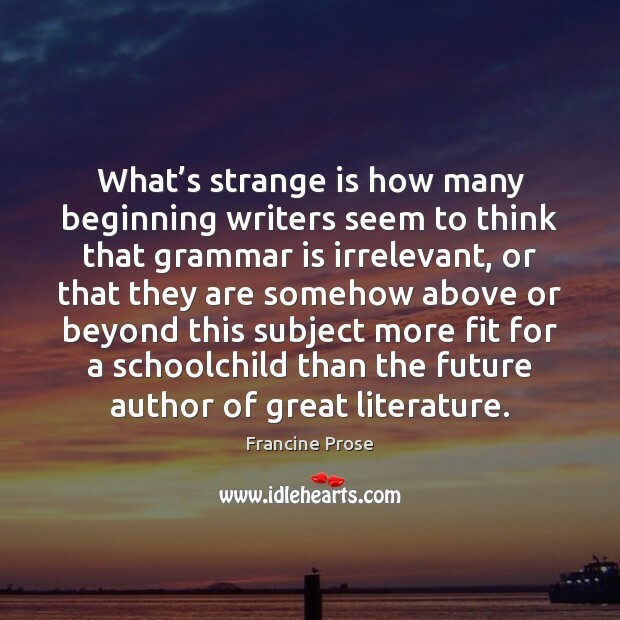 What’s strange is how many beginning writers seem to think that grammar is irrelevant, or that they are somehow above or beyond this subject more fit for a schoolchild than the future author of great literature. Be persistent. Editors change; tastes change; editorial markets change. 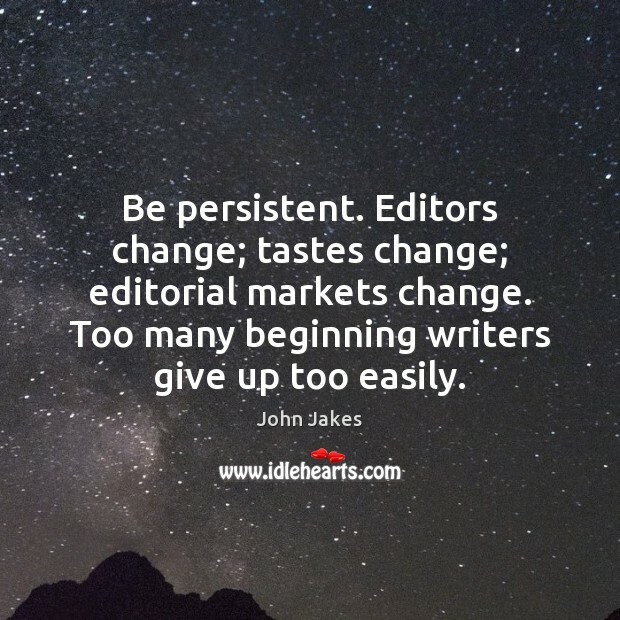 Too many beginning writers give up too easily. 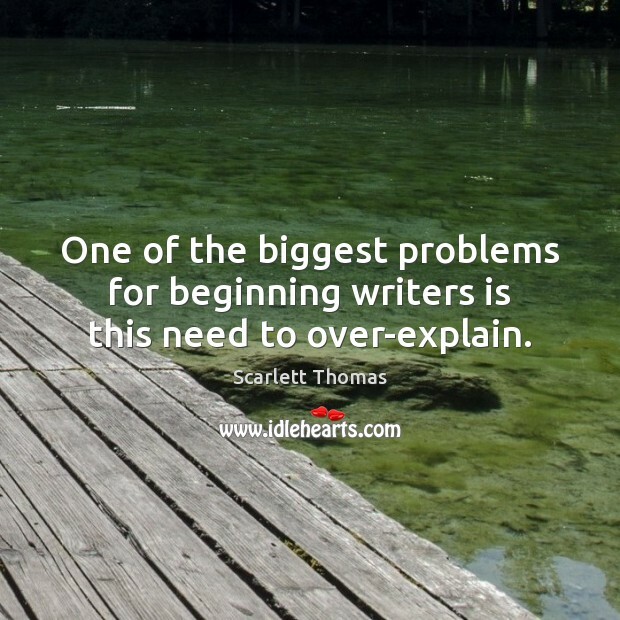 One of the biggest problems for beginning writers is this need to over-explain. 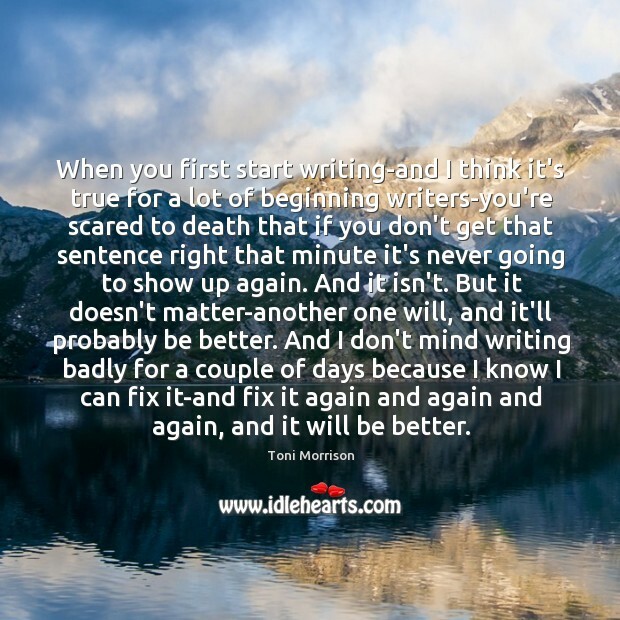 When you first start writing-and I think it's true for a lot of beginning writers-you're scared to death that if you don't get that sentence right that minute it's never going to show up again. And it isn't. But it doesn't matter-another one will, and it'll probably be better. And I don't mind writing badly for a couple of days because I know I can fix it-and fix it again and again and again, and it will be better.